This sweepstakes runs all Fourth of July weekend long in honor of Anime Expo 2016. However, we didn’t want you folks who couldn’t make it to the con miss out on ALL the fun, especially with a prize THIS big. This sweepstakes is for you guys too! This 10 9/16" x 9 3/8" one-of-a-kind Shikishi board comes with a cardboard back with a border of gold paper. 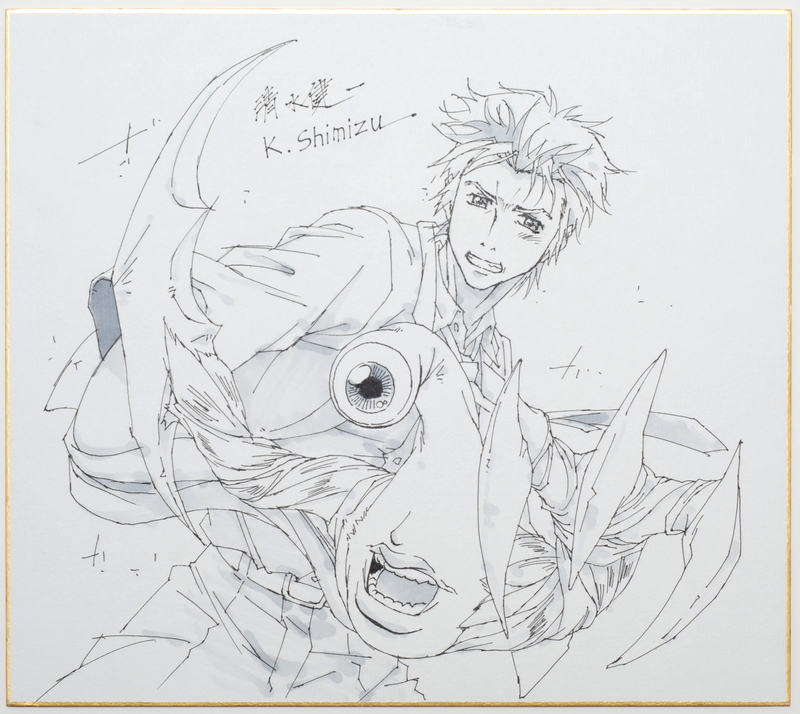 One lucky winner will take home this hand-drawn piece featuring Shinichi and Migi in an action pose, signed by one of the animators.